The Belgian firm will have to pay $3.3 million to its former broker, W Nagel Ltd., after the court agreed with a ruling of a lower court that Pluczenik violated an agreement between the sides from 20 years ago. Nagel told the court that in 1994 he and Isaac Pluczenik made a deal whereby he reduced his commission rate to 0.5% from 1%, in return for Pluczenik using W Nagel as its broker as long as it had a sight. 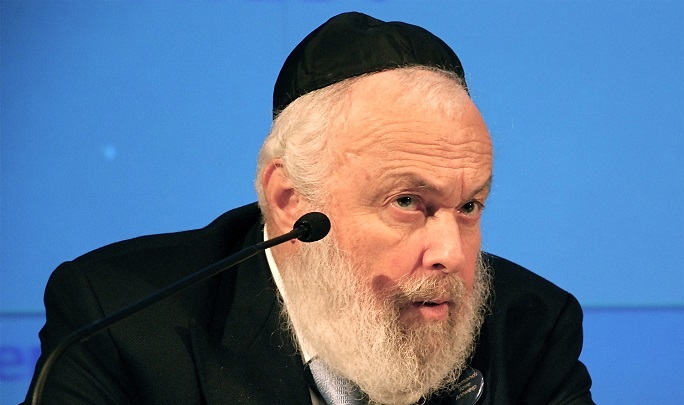 However, Isaac Pluczenik died in 1997, with the business passing on to his son Chaim (pictured above) who did not attend the 1993 meeting when the deal was agreed. And when De Beers brought in its Supplier of Choice program in 2003, it said that its clients would no longer need brokers, although it encouraged them to do so. Ahead of De Beers moving its aggregation, sorting and sales operations to Botswana from London at the end of 2013, Pluczenik informed Nagel that after 45 years he was ending Nagel's services as a broker for the diamond firm – thus triggering the lawsuit. The court heard that there were few written accounts regarding the suit. Justice Andrew Popplewell pointed out in his 2017 ruling that the Pluczenik company didn’t provide much in the way of documentation during the proceedings. He said that Chaim Pluczenik was reluctant to write down details of agreements since his father had counseled him that ‘whatever you write, you can’t take back,’." Nagel had told the court that Pluczenik had said he would remain a client as long as its De Beers sight lasted. Following the introduction of Supplier of Choice, the Pluczenik company said it had not broken the agreement with Nagel, because it had simply decided not to hire another broker and to not use a broker any longer. Justice Popplewell agreed with Nagel, saying that when the agreement was made, nobody predicted that in the future sightholders would not be required to use a broker. That point proved crucial since it was brought up in the recent appeal, with the judges agreeing with the original ruling. The appeal judges also dismissed a claim by Pluczenik that De Beers' comment that sightholders did not necessarily need brokers anymore served to nullify the original agreement.